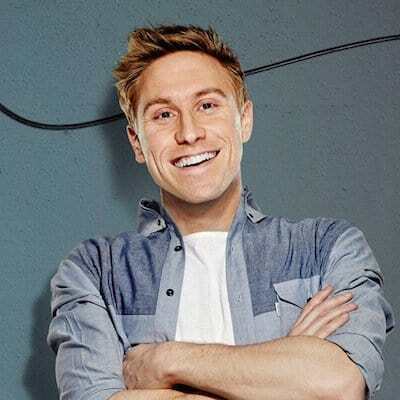 It was announced today (Wednesday, April 9, 2014) that Russell Howard will add a major autumn extension to the UK leg of his sold-out 2014 Wonderbox world tour. This tour has already seen almost 200,000 fans book to see Russell in the UK, including four sold-out nights at London’s Royal Albert Hall (next week), before embarking on sold-out runs in Australia, New Zealand and the USA from May. The new dates will make available a further 85,000 tickets at arenas in cities including: London, Birmingham, Manchester, Nottingham, Liverpool, Cardiff and Sheffield. 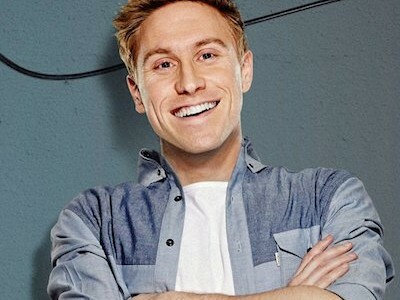 Tickets for the December 2014 shows are on pre-sale from today, with information available through www.russell-howard.co.uk, and go on general sale from 9.00am Friday, April 11. Venues played in advance of the December extension dates: Bournemouth International Centre (x3 dates), Cardiff Motorpoint Arena (x3), Manchester Arena, Sheffield Motorpoint Arena, Dublin Vicar Street (x3), Belfast Odyssey Arena, Glasgow SSE Hydro Arena, Aberdeen GE Oil & Gas Arena, Newcastle Metro Radio Arena, Leeds First Direct Arena, Nottingham Capital FM Arena, Liverpool Echo Arena, Birmingham LG Arena (x2), Brighton Centre (x2), London Wembley Arena, London O2 Arena, London Royal Albert Hall (x4) and Bristol Hippodrome (x4).